NDIS is the National Disability Insurance Scheme. It is a new way of providing support to Australians with a permanent and significant disability. This includes interpreting services for Deaf and hard of hearing people who use sign language to communicate. Can I access a NDIS Plan? If you are Deaf, under 65 years old, have Australian residency (Australian citizen or a permanent resident) and live where NDIS is available, you may be able to get a NDIS Plan. To find out more, visit the My NDIS Access checklist (NDIS website). Do I have to get a NDIS Plan? It is your choice but if you live in an area where NDIS is available, NABS can't provide free interpreting for your healthcare appointments. If NDIS is not available in your area or you are not eligible, NABS will continue to provide free interpreting for your private healthcare appointments. I have a NDIS Plan, what do I do? Tell NABS. NABS is a registered service provider for the NDIS. If you have a NDIS Plan that includes interpreting hours, you can book an interpreter with NABS for your healthcare appointments plus other appointments e.g. work, hobbies, financial advice etc. 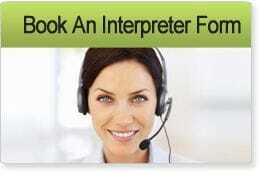 You will pay for interpreting services from your Plan. For now, if you are over 65, NABS is still free for your private healthcare appointments. If you get NDIS before 65, you can keep it after 65. You can also find out more on the NDIS website or to contact NDIS, visit their Contact Us page. NABS now offers support in person (Brisbane only) or via Skype/FaceTime. Have one-on-one chat about NDIS in Auslan. You can contact NABS If you have specific questions about NABS and NDIS.